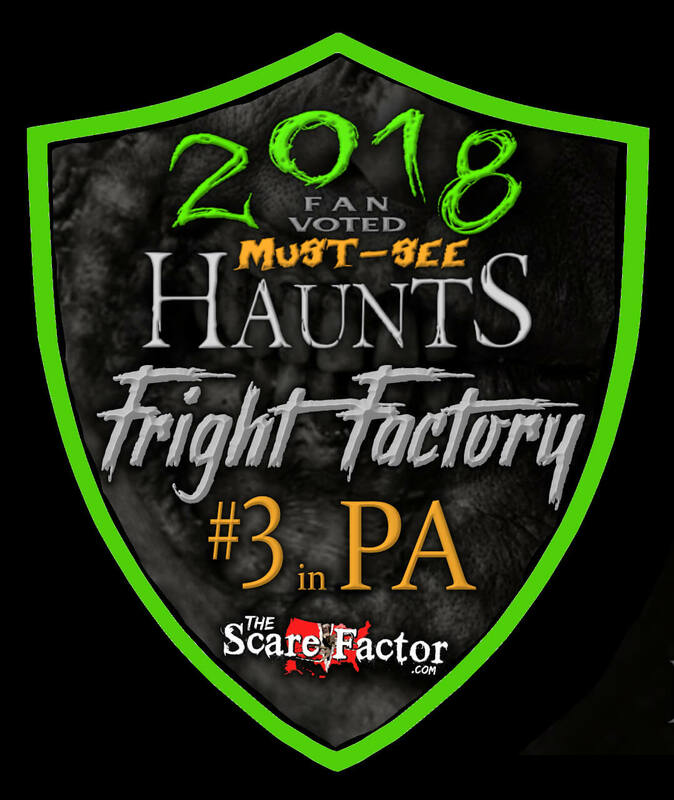 Fright Factory is a Haunted Attraction located in Philadelphia, PA. 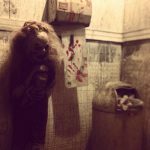 Team Crypt Creepers reviewed this attraction on October 21, 2017. Don’t bother punching your time card when you clock in for your shift at this factory, cuz you won’t be making it out alive. 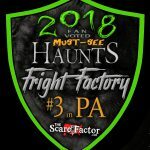 Fright Factory in Philly takes the fun feel of a home haunt and mixes it with the craziness of an asylum. From the start things get interesting, with a rules and guidelines video playing in the form of one of those cheesy “Workplace Safety” videos. It is as corny and hilarious as any that you may have seen on day 1 of one of your jobs. From there you get your picture taken… you know, so they can identify the remains. Then you begin your 30 minute trek through sewers, dentists rooms, and maybe the most horrifying scene in this haunt…CHURCH! (Their church was actually really well done, the stained glass was really cool.) Grab a hard hat, and get ready to reset that “days without incident” tracker, this factory is fatal. The cast can be summed up in one word: crazy! Most of the scaractors play the role of a lunatic out for blood, or just a good time. Lots of babbling, incoherent muttering, and random as hell actions on their parts define their characters. You run into a few deviants who are just evil or sinister, but for the most part these loonies let loose on guests with their antics. They definitely stayed in character and were believable. 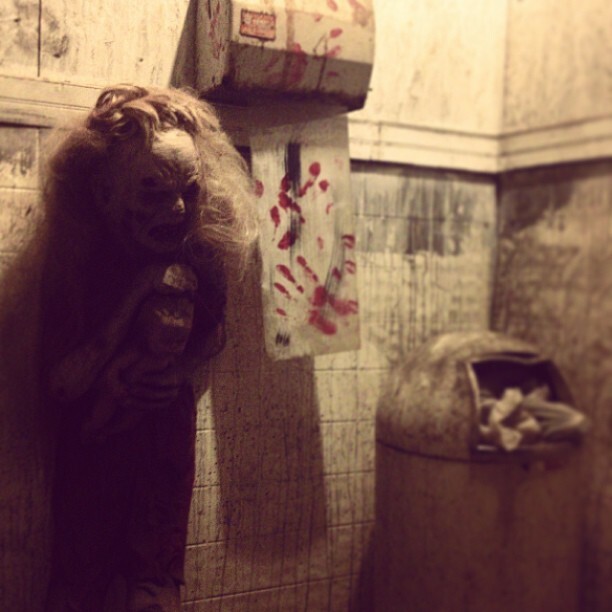 But without the overall theme being an asylum, it is hard to explain why there are crazies in an autopsy room, the sewers, or some of the other locations in the haunt. One God-worshipping, blood-hating woman splashed us with water while shouting how she needed to scrub away the bloody hand prints on our faces. Another sneezed on us, throwing even more water at us from behind a fence. They were a very moist bunch. The dim lighting made the haunt creepy, but also made it hard to see the costumes. Most of the scaractors were in rags or tattered clothes, which looked great. One maniac had a mechanical arm with a blade that spun. The noticeable makeup looked good. Overall it was tough to get a good look at the costumes and makeup. There was a section with fluorescent paint where scaractors in suits covered in splatters of fluorescent paints attacked guests also, so the costumes and scene there matched up nicely. The staff here are extremely helpful and friendly, as well as patient. Taking time to talk with guests, the staff was conversational and visible. Being located in a warehouse district, the haunt took the time to put up signs nearby to help guests locate them. There seemed to be a good amount of parking. Occasionally a crazy guy would run out and throw spiders at guests while shouting random things. We also witnessed him pull a Dunkin Donuts cup out of the garbage, take a bite out of it, spilling the remnants of its contents all over the floor in front of a security guard who had to clean it, and then run off screaming something about decaf. In a dark and creepy corner of Philly rests a haunt where the crazies run wild. Also in this same corner, in the same building even, is a tiny arcade and black light mini golf…but I digress. The warehouses give an industrial malice to the air, with a sense of dread lingering in the back of your mind. You don’t know if you will make it to the haunt, let alone out of it. You don’t really know what to expect while you wait outside, you just know that it won’t be good. This haunt gives off the home haunt feel. Everything is very subtle and eerie (besides the giant rat). Some of the sfx were well used and effective, such as the Zoltar fortune teller and the shock wall in the dark corridor. Other effects fell a little short, such as having a chainsaw scare where the chainsaws sound came from a speaker somewhere else. The giant rat that they have attack guests is really well made, and attacks from such a distance that it really gets some speed built in as it comes racing forward. 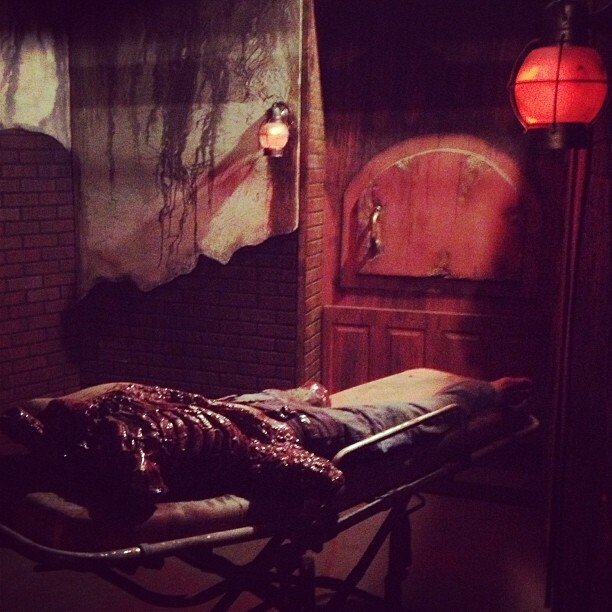 Though broken into 3 areas, the haunt functioned as one big whole. The scaractors blended into each theme with the same consistent craziness, giving a uniform feel to the entire haunt in that sense. Psychotic, creepy, energetic, the scaractors were all of these things. But they were not terribly frightful. They did a good job of going after the whole group, though a lot of focus was placed on who they all called “the short one.” A lot of scares were straight-forward pop outs, or just the actor sitting in the room waiting for guests to get close enough, or to almost be out of the room. Ultimately the haunt was more comedic than frightening, which isn’t bad as an experience in general. It took about 30 minutes to walk through this haunt, and for tickets that start as low as $15 it is a great deal. They also offer what they call the Ultimate Fear Package, which if I could’ve I would’ve gladly done. In this package, you get 2 V.I.P. tickets, a private trip through the haunt for just the two of you, then afterwards you and your partner get put into full costume and makeup, get taught a few simple scare tactics, then get a spot in the haunt and two hours to scare guests, and a t-shirt, all for just $200. If you ever considered working in a haunt, this is a great way to give it a test run. Especially since security and staff are present and visible in this haunt, making sure all the scaractors are safe.